With some help from a friend, I got the roof frames up this weekend. The tulips are starting to bloom. 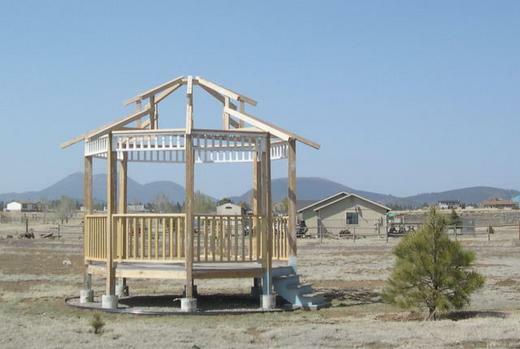 I put up the railings and trim on the gazebo a couple of weeks ago, and am now working on building roof frames.